Dr. Aladdin Galeidi MBChB and Dr. Abdel-Malak M.D are both family physicians and. have been providing medical care at the Apple Wellness Center since 2008. Short notice appointments are available on a daily basis. 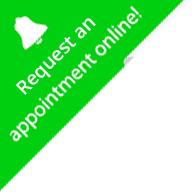 Please call us at 587-332-6767 extension 2 to inquire about appointment times. We also provide additional care through our HMT Health Management team. Click here for more details. Dr. A. Geleidi Graduated 2001. He has 14 years experience in family medicine and several years experience in General Surgery. Dr. Ehab Abdelmalak MBBCH, MCFD Graduated in Egypt, has 20 years experience in family medicine and has worked at the Apple Wellness Center for 9 years.